Our authentically styled Charioteer Helm will take you back to the days of old Greece. 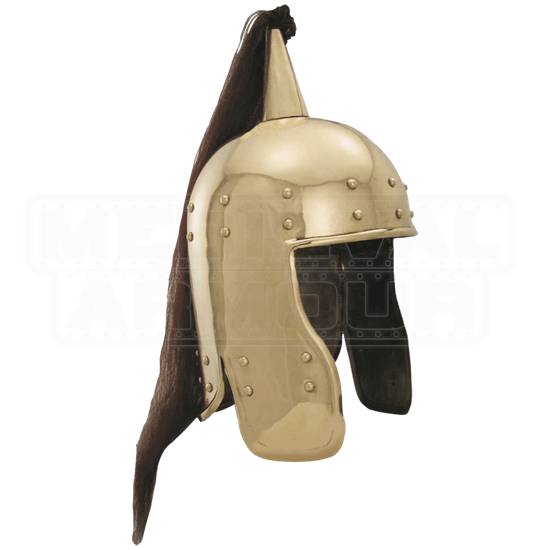 The epic helm portrayed in the great chariot races of film and history, this helm features a real hair tail plume, studded accents, and is hand crafted of brass. 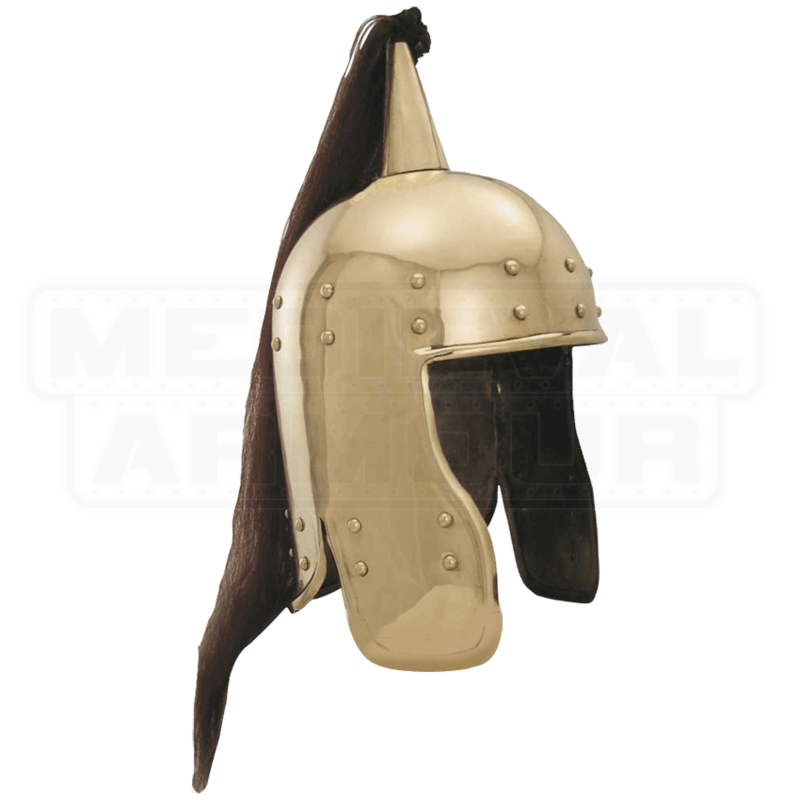 Do not let this helm pass you by, this charioteer helm is hard to come by and will be an excellent addition to any collection. The Charioteer Helm is full size and wearable.